The Collegian is proud to announce its spring 2008 editorial, multimedia and business staff. Jessica Szalay, a history graduate student, will be returning for a second semester as the editor in chief. New to the staff is senior print journalism major Joanne Lui, who will be the news editor. Lui served as a copy editor and reporter for The Collegian last semester. Also new to the news section is senior print journalism major Megan Bakker. 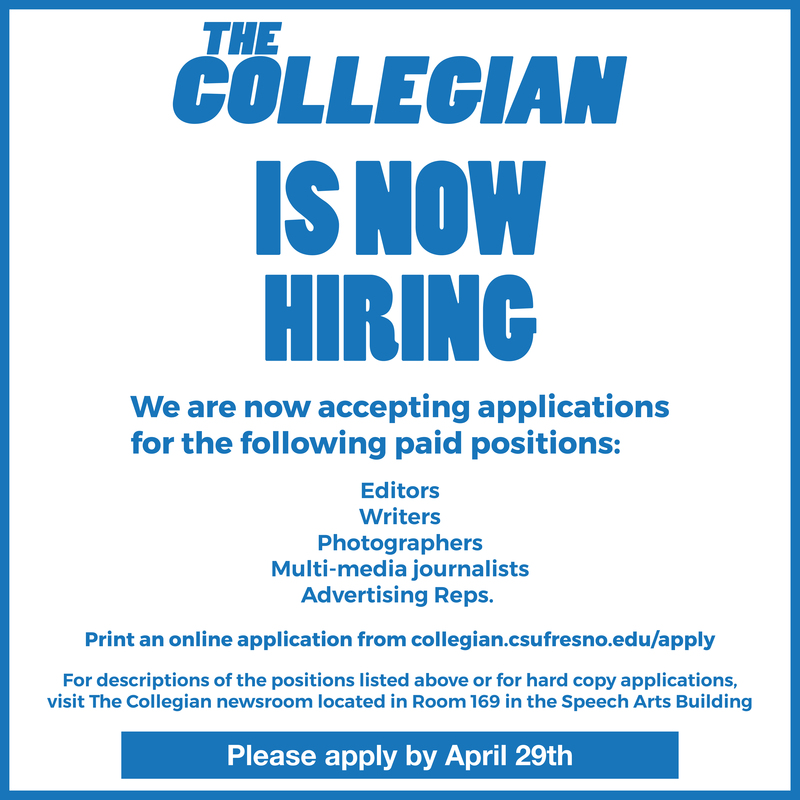 Bakker, who has written for The Collegian in past semesters, will be the senior writer. Both Lui and Bakker received the Dow Jones Newspaper Fund summer 2008 internship. Both senior print journalism major Kim Anderson and sophomore broadcast journalism major Jimmy Graben will be returning as The Collegianâ€™s sports editors. Helping them out in the sports section is senior print journalism major Kyle Lazarus. Lazarus wrote for The Collegian last semester and will be the sports beat reporter. Returning to the features section will be senior broadcast journalism major Megan Reilly. Reilly, the features editor, will be joined by junior broadcast journalism major Brandon Santiago. Santiago wrote for The Collegian last semester and will be the features beat reporter. Opinion editor Mathew Gomes will be returning for the spring semester. Gomes, a senior English and music composition major, will have the help of returning columnist Benjamin Baxter. As a past print journalism major and a beginning credential student, Baxter will also be a part of the multimedia staff as the blog editor. 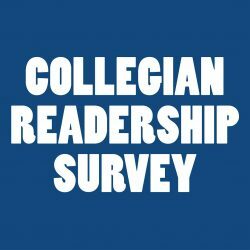 The blog section of The Collegian Online has also been redesigned and expanded to match the interests of the university community. Digital media major and current photo editor Juan Villa will also be back for the spring 2008 semester. Heading the multimedia staff and award-winning Collegian Web site is senior digital media major Heather Billings. Billings was the webmaster last semester and will be the multimedia editor/webmaster for the spring semester. Former multimedia editor/webmaster Joseph Hollak will be conducting informational seminars for The Collegian as the online consultant. The senior digital media major will also be serving as a multimedia reporter. Senior digital media major Kylee Jepsen, who freelanced for The Collegian last semester, will be joining The Collegian as a multimedia reporter. Digital media major Joseph Vasquez will be returning to The Collegian as a multimedia reporter. The Collegian Online won the 2007 Associated Collegiate Press national online Pacemaker award. Returning to The Collegian is Michael Uribes, a junior in the graphic design sequence of art and design. Uribes was the art director last semester and will be taking on the position of both the presentation editor and art director for the spring semester. Assisting Uribes in the art director position are graphic design majors Brandon Ocegueda, the assistant art director, and Thomas Rouse, the ad production designer. Grace Guanlao will be returning to The Collegian advertising staff as the local advertising manager. New to the advertising staff are Erica Sigg, the advertising coordinator, and Amber Moya, the national advertising manager. Special projects will be handled by Kendall DeJong and returning Collegian advertising staff member Maira De La O. All are seniors majoring in mass communication and journalism in the advertising sequence and served as account representatives during the fall 2007 semester. Christine McAllister will return as the accountancy assistant, and Savannah West will return as the distribution manager.